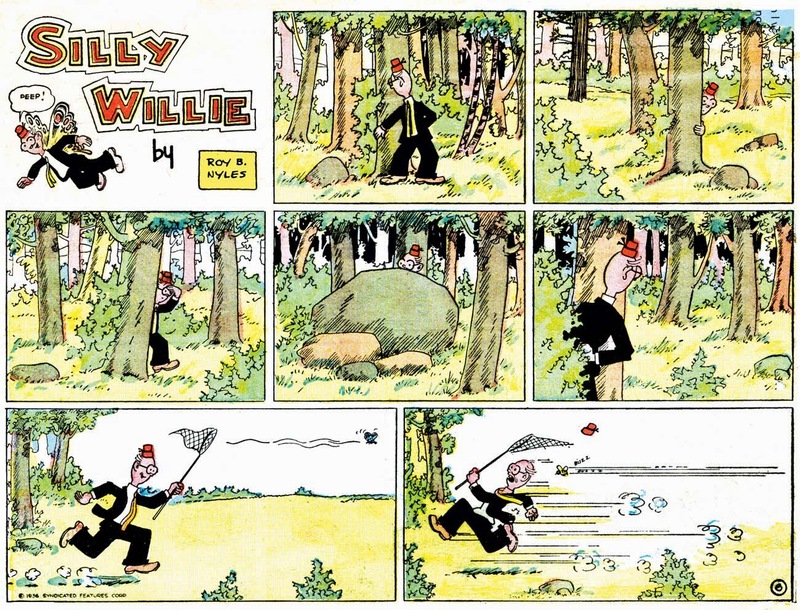 Silly Willie is about as generic a strip as you can imagine about a not-too-bright little nebbish. 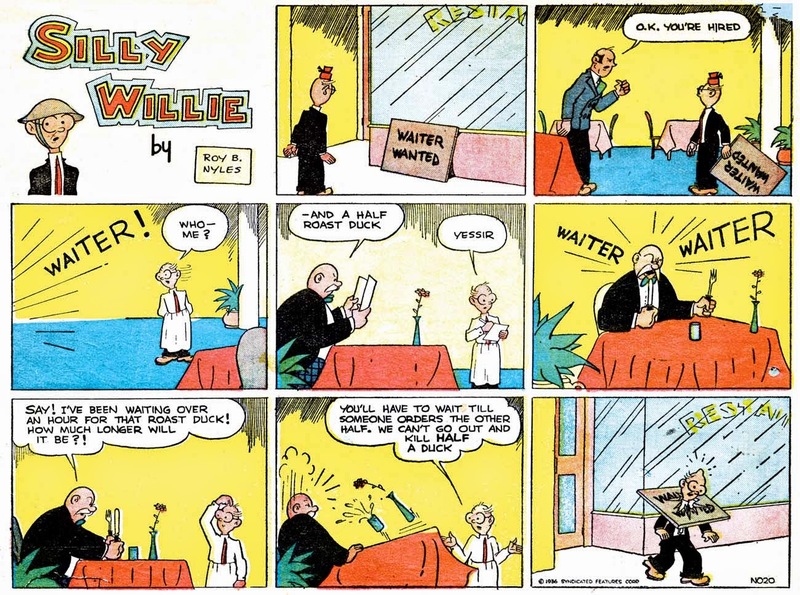 That sort of character was all over the comics in the 1930s (not to mention most other eras), and Silly Willie certainly didn't bring anything original to the table, unless you count the flowerpot hat he sported. The name Roy B. Nyles sounds very familiar to me, but I looked through my files and checked online, and I can't find a peep about him. Not even sure now that's he's a real person. (Tomorrow his identity will be revealed, courtesy of Alex Jay). Silly Willie ran for the whole run of the Syndicated Features tabloid section, July 13 1936 to March 8 1937.